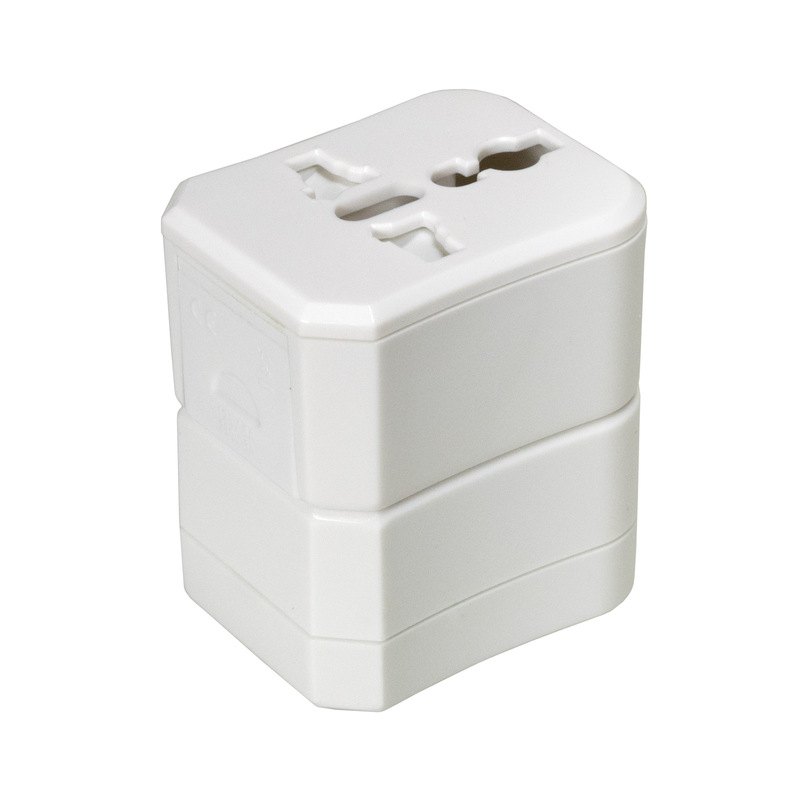 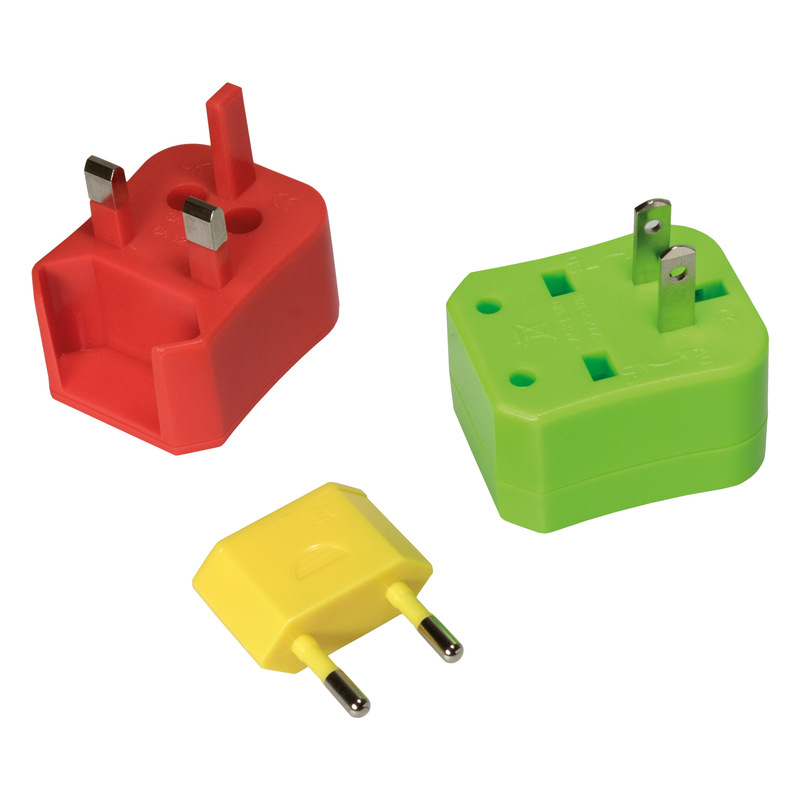 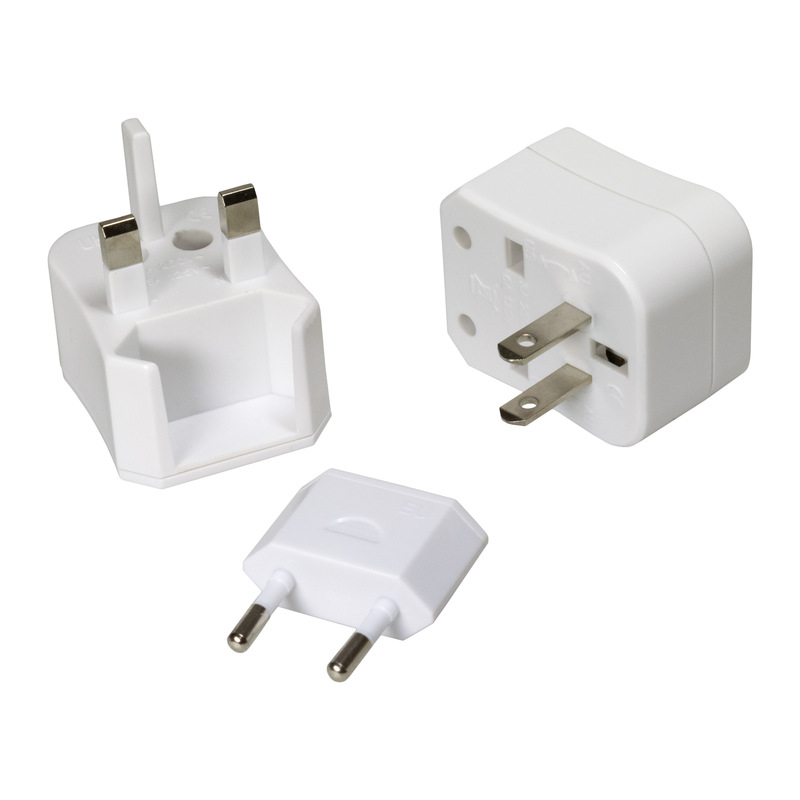 Universal 3 Piece Travel Adaptor. 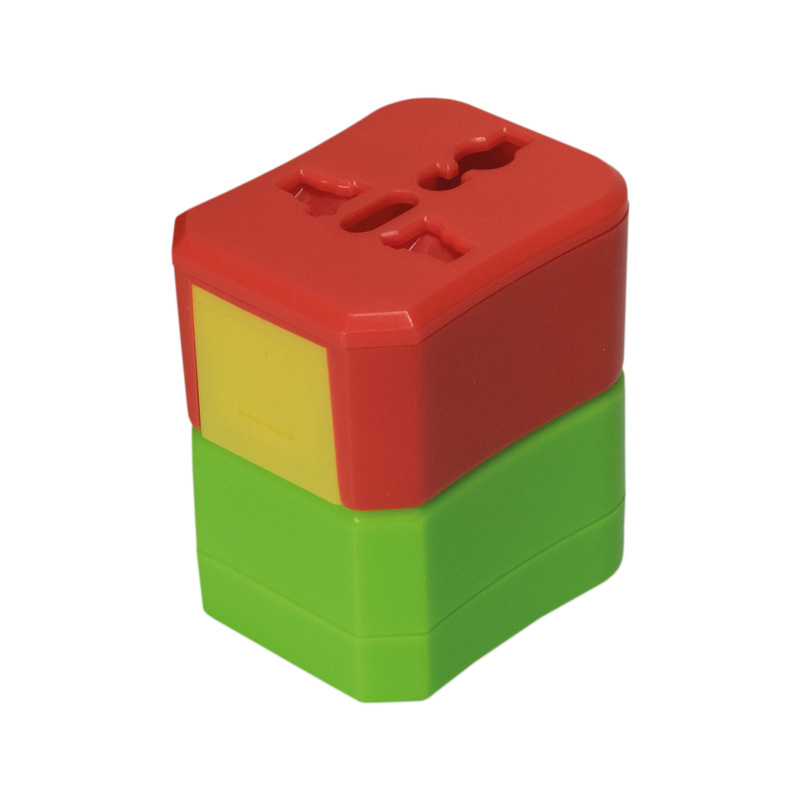 pantone match on orders over 1000pcs). 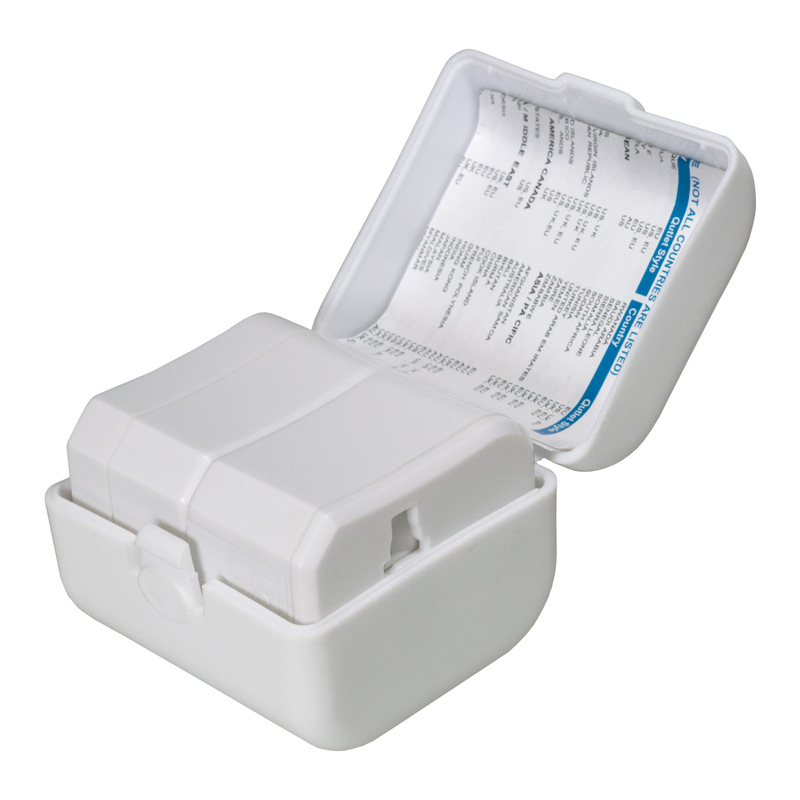 Comes supplied with Transparent case. 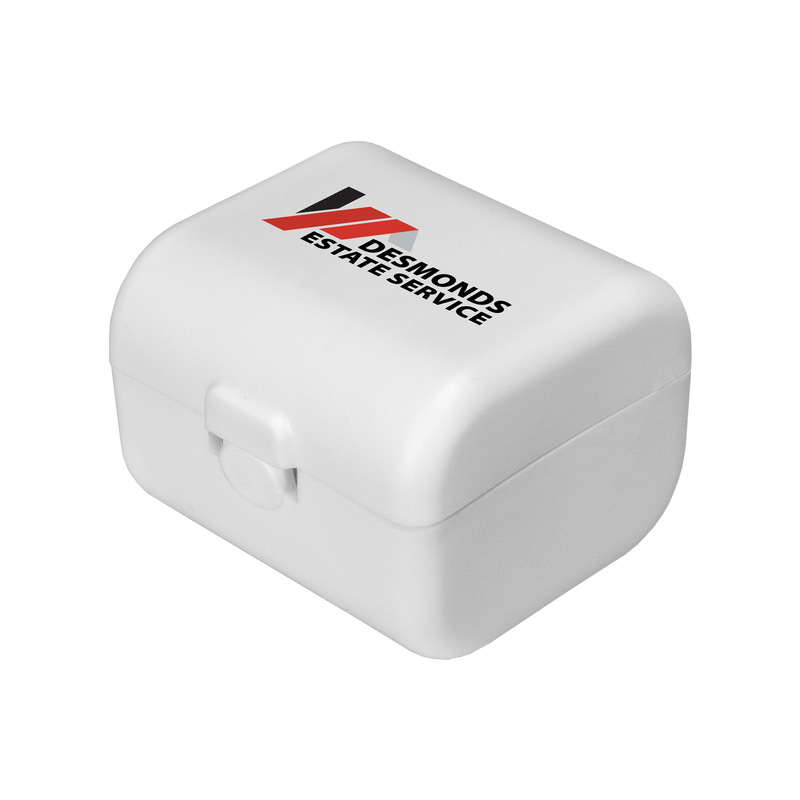 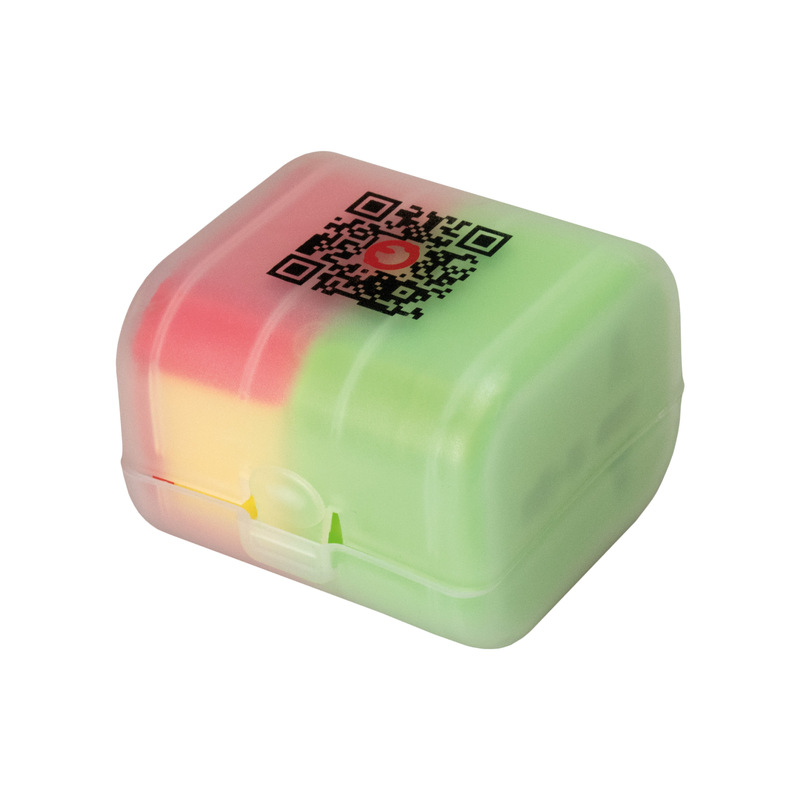 Plastic cases made by ABS + PP.